The K6 ECU was introduced in early 2010 and brought with it new innovations in hardware design. At the heart of the K6 is an automotive specific 32 bit Power PC processor giving class leading performance, stability and durability. The K6 now features 6 ignition and 6 injection drivers, allowing full sequential control for up to 6 cylinder engines, plus the K6 has the best environmental protection of any Emerald ECU to date. As with previous Emerald ECUs the K6 continues to provide class leading features with intuitive and easy to use software combined with future proof upgrade options. The K6 currently uses the already established K3 PC software providing intelligent and proven functionality and features, such as Adaptive Lambda control, Closed loop Boost and EGT control, VVT control and Triple MAP switching. 3 inputs, each configurable for Inductive or Digital sensors, crank, cam or distributor. User selectable crank trigger patterns. 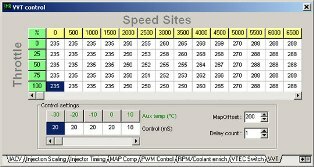 The 16 x 32 cell AFR target table allows you to set the desired AFR that you wish the ECU to target for any given speed or load site. 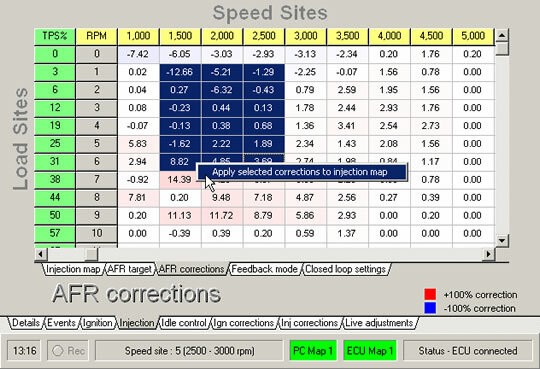 The 16 x 32 cell AFR corrections table allows you to view/ edit/ apply the fuelling corrections built up in the ECU while in adaptive mode. The 16 x 32 cell Feedback mode table allows you to set the mode of operation (open loop, closed loop, adaptive) for any given speed or load site. 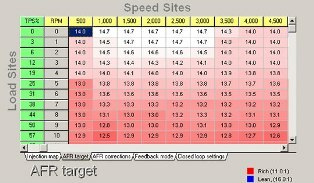 32 speed sites (rpm) Speed sites are adjustable to a resolution of 1 rpm. The K6 output’s a steady stream of up to 21 data parameters; 20 times a second which can be used by other CAN enabled devices – i.e. Digital dashboards. Emerald’s CAN protocol is freely available and can be downloaded from our Software & Manuals page. The ECU can be configured to read exhaust gas temperature via a signal conditioning unit. To ensure the best accuracy, the exhaust gas temperature is transmitted digitally between the signal conditioning unit and the ECU. Either an Emerald or VAG signal conditioning unit can be used. Cam on/ off switching control. 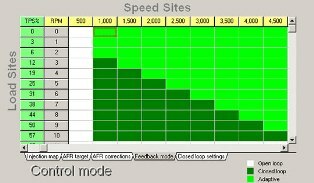 Switch according to rpm and load. 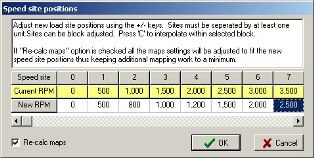 Any spare output can be assigned to this function. Rover VVC control. Continuously variable cam duration. Control target duration according to load and speed table. 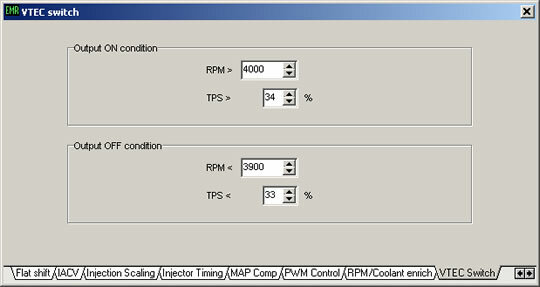 Oil temperature correction to control algorithm. 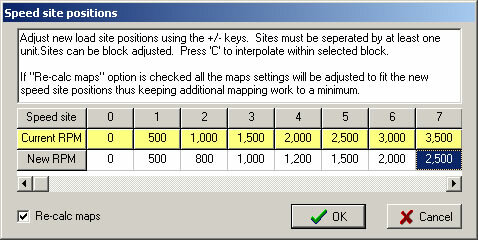 The ECU can store up to three completely separate maps. 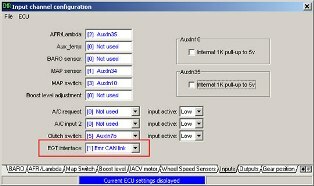 If set to do so the ECU will allow you to freely switch between maps on-the-fly. A 0-5 volt signal via an analogue input can be used to instruct the ECU which map to use. A simple two position on-off switch can be used to provide a high-low signal that will enable you to switch between two maps. To switch between three maps a rotary multi-position or potentiometer can be used.